It started close to midnight as my phone kept pinging incessantly at an odd hour. Half awake, I moved to mute the phone. As I scrolled through the messages, the dreadful word appeared: "Terremoto," earthquake! I woke my wife, as I could barely believe what I was reading. Was it true? An 8.2 earthquake had just been reported off the coast of Oaxaca and Chiapas in the Pacific Ocean. As someone who lived through the tragic earthquake that killed thousands in Mexico in 1985, I could hardly imagine that this was an even stronger quake! The epicenter's distance from major cities and improved building codes since 1985 meant that this would be a far lesser tragedy, but a tragedy nevertheless. At least 33 are reported dead and 162 hurt in the state of Oaxaca alone. 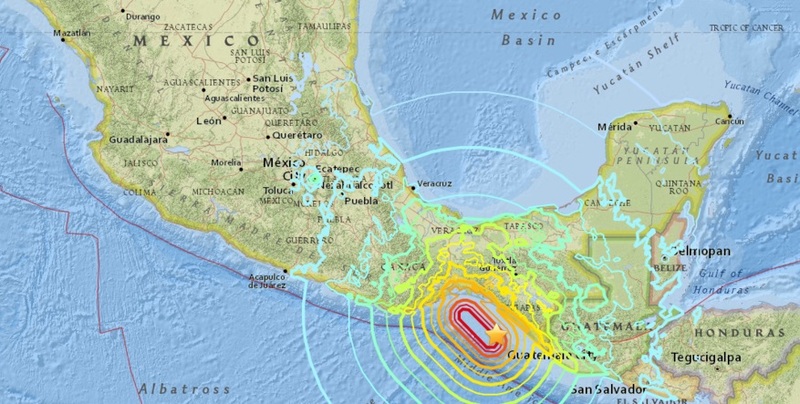 The coastal cities along the Isthmus of Tehuantepec have received the brunt of the damage. The coffee regions of Mexico are located in the highlands of Chiapas and Oaxaca where earthquakes are a relatively lesser threat. In several communities, farmers suffered damage to their homes, mostly with cracked walls. However, it has been very difficult to assess the full extent of the damage, as communications are down in several places. There are also multiple reports of severe damage to roads and infrastructure. Farmer homes made of adobe and roof tiles have been damaged the most. In a small community in Chiapas, more than 30 homes have been damaged and there are similar stories from the Oaxaca South Sierra. At the moment, the report we have from our Oaxaca office is that coffee infrastructure, such as dry mills and warehouses, appears to be unharmed. As is the case in Mexico, communication is erratic and unreliable. Landslides on roads have been reported, but coffee-growing villages have not encountered further damage. We'll continue to monitor the situation and provide updates as needed. Many thanks for your thoughts and prayers for all affected.